One of the recently discovered herbal supplements is the bilberry, which is a herb belonging to the blueberry family. Recent studies have shown that taking bilberry for eyes could actually promote better vision and help prevent diseases like glaucoma, cataracts, and macular degeneration. Due to the many health benefits of bilberries, they are becoming a more and more popular form of supplementation. The use of bilberry as a natural treatment extends all the way back to the beginning of the 16th century, when it was used as a way of treating stomach problems like diarrhea. But its benefits for the sense of sight were discovered by accident during World War II by the pilots of the British Royal Air Force, when they incorporated bilberry jam in their diet. They noticed that their night vision became clearer whenever they ate the jam. Since then, bilberry has been credited for good eye health. Bilberry is a fruit that looks much like blueberry. In fact, it even tastes just like blueberry, since they are closely related. The fruit can be eaten in its raw or preserved form. The plant can grow for up to 16 inches, with pointed oval leaves and small, white and pink flowers. Bilberry is in season from April to June. What is said to be the major “ingredient” of bilberry that makes it good for the eyes is anthocyanosides – a powerful antioxidant. Antioxidants can help prevent damage coming from free radicals in the environment. Aside from being antioxidants, anthocyanosides can also help improve circulation and strengthen blood vessels, thus further improving eyesight and also lowering blood pressure. It can also help stop coagulation and the formation of blood clots, thus reducing the risk of heart attacks and strokes. Bilberries also contain tannins, which help to relieve digestive problems. They are a good source of chromium, a mineral that helps diabetics control their blood sugar levels. Also, they are rich in vitamins such as vitamins A and C, which further enhance their antioxidant properties and are very good in preventing free radical damage to the eyes. Despite all the health benefits of bilberries, the bilberry is made popular today from its benefits to the eyes. Following the experience of the British war pilots, many studies have been conducted to prove their claims. Research has shown that taking bilberry for eyes effectively improves circulation to the retina of the eyes, which is where most of the major functions of the eyes occur. The macula, the part of the eye responsible for central vision, can also be found within the retina. Because of the effect of anthocyanosides on blood circulation in the eyes, it is said that taking bilberry for eyes can possibly help in the prevention of age-related macular degeneration. Recent studies also show significant improvement in visual acuity with the intake of bilberry, and it is also shown to be able to prevent the development of other age-related eye diseases such as glaucoma and cataracts. 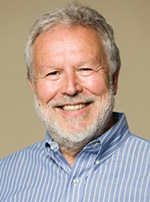 In glaucoma, the eyes have to deal with increased pressure. If this pressure becomes too high, it can result in blindness. Taking bilberry for eyesight helps to prevent glaucoma by increasing the production and integrity of collagen in the eyes. Collagen is a protein found in connective tissue and it also helps in capillary flexibility. Because collagen is strengthened by bilberry, the eyes are better able to withstand the pressure associated with glaucoma. Cataracts can also be prevented by bilberry since this illness results from the weakness of the collagen matrix of the lens. Moreover, cataracts is linked to free radical damage, and being a powerful antioxidant, bilberry for eyes helps avoid the development of cataracts. 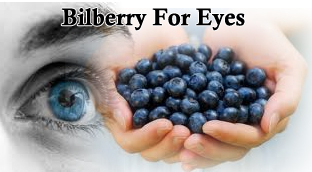 However, the National Institute of Health (NIH) still wants to conduct more studies as to the effectiveness of bilberry for eyes, since the studies which have been undertaken regarding its benefits to the eyes are still in their preliminary stages. More studies are being conducted regarding the claims that it can improve night vision, even if there have already been a lot of testimonials regarding its effectiveness in naturally treating eye problems. You can take bilberry in its raw form as fresh berries, or you can add these berries to your desserts. You can even make bilberry tea using a dried berry or bilberry leaf extracts from the plant. Just like the British war pilots, you can also eat bilberry through its preserved jam form. 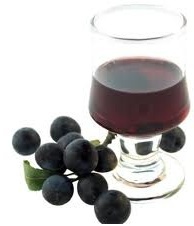 You may be happy to know that bilberries can also be made into wine. If however you are having trouble finding the fruit, you can opt to take bilberry supplements that contain bilberry extract, which are now available on the market. Bilberry supplements are common treatments for retinopathy, in which the blood vessels and nerves of the retina are damaged. In fact, bilberries have been prescribed in France since 1945 as treatment for diabetic retinopathy, a condition which can lead to blindness among diabetics. These nutritional supplements come in powder or capsule form, and there have been no reported side effects or drug interactions among these supplements. They contain at least 25% of the anthocyanosides found in the fruit, making them good sources of bilberry nutrients. Although the bilberry can do wonders for your eyes, the best way to go about naturally improving your eyesight, is to follow a full dietary program for the eyes, and to combine it with a system of eye exercises that have been found to enhance visual perception quickly and easily. To learn more, a good place to get started is the following article on how to improve eyesight naturally.